A sinkhole on the city's South Side will have a street closed for at least another week. 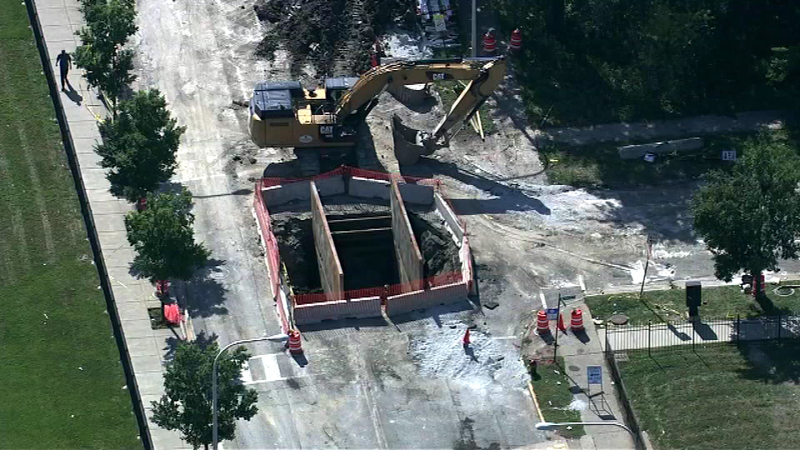 CHICAGO (WLS) -- A street on Chicago's South Side will stay closed for at least another week after a massive sinkhole opened up. The hole almost swallowed a back hoe last week at 103rd St. and S. Yale Avenue in the city's Roseland neighborhood. Monday night the water department said they have installed supports to keep the hole from expanding. A new sewer is being made and will be put in place in about a week.